Over 10 logistics companies are scrambling to get the nod from Dangote Industries to ferry tons of equipment for use in the construction of a massive Refinery and allied projects in Lagos, Nigeria. Dangote Industries has ordered some 500,000 Tonnes of Equipment from China and other countries and wants them on site between now and February 2020. The company is running late in the construction of a 650,000Barrel per Stream Day(BSPD) crude oil refinery on the Lekki Port in the east of Lagos. Around 20 large Vessels are required to transport the equipment, which are needed in the final stages of the construction of a refinery, a fertiliser plant, a petrochemicals plant and other projects, spread over 5,000 acres of reclaimed land, or 2,135 hectares. The company recently signed a Gas Supply Agreement to receive 70Million standard cubic feet per day of gas from Chevron’s Escravos Gas Project; the molecules will be the foundational feedstock for the fertliser plant, the first of the several projects to go on stream. 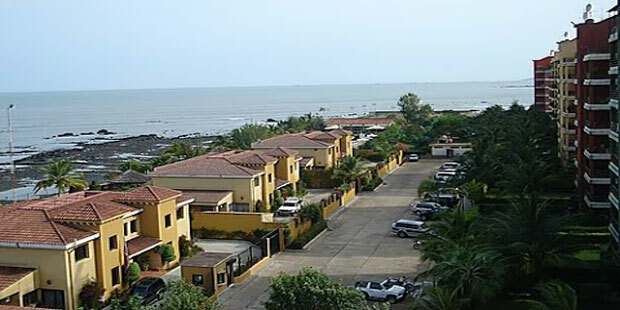 Africa Finance Corporation announces it has successfully closed a €577Million debt financing for Société Ivoirienne de Raffinage (SIR) of Côte d’Ivoire. AFC’s participation was for €192Million. The corporation was Sole Mandated Lead Arranger for the transaction. 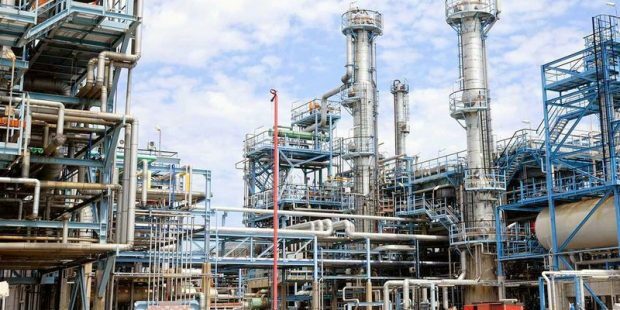 “SIR has an installed capacity of 3.8 Million tonnes per annum of refining capacity and is currently the largest and most sophisticated operational refinery in West Africa”, THE AFC says in a release. The purpose of the Facility is to repay historical obligations on crude supply, provide a long tenured facility and reduce the interest rate of SIR’s stock of debt. The Facility comprises a Euro tranche with a 9-year maturity and a West African CFA franc tranche with a 7-year maturity. The long-term funding solution to refinance historical accrued debts will free up resources to enable SIR to make much needed investments in its current operations and upgrade its facility and production processes to align with current environmental emissions standards and expand its business, thereby contributing to job creation. Participating banks include AFC, Deutsche Bank, ICBC Standard Bank, United Bank for Africa, NSIA Bank and Bridge Bank. Counsel for the Lenders was Norton Rose Fulbright and Bilé-Aka, Brizoua-Bi & Associés. Brahms Oil Refineries Limited, an Emirati based Oil & Gas company has appointed Africa Finance Corporation as Financial Adviser for the development of the Petroleum Refining and Storage Infrastructure Project (the to be located in Kamsar, Guinea-Conakry. 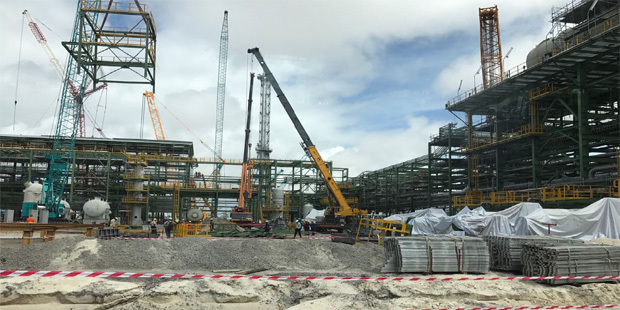 The Project comprises of petroleum storage and transportation infrastructure, as part of a 12,000 barrels oil per day (bopd) modular refining facility. 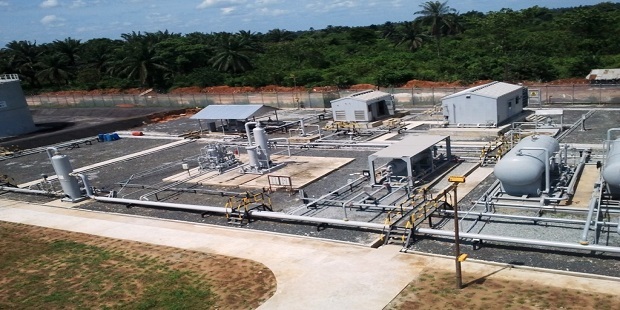 This flagship project is being implemented by Société de Raffinage Guinéenne S.A; a subsidiary established by Brahms that will process crude oil primarily sourced from West Africa into refined petroleum products for sale into the local Guinean market. “As sponsors, Brahms has already completed substantial early development work on the Project, including key environmental and social impact assessments, site studies and preparation, as well as key legal, regulatory and economic framework agreements in Guinea”, the company says in a release. Africa is reliant on imported refined products to meet the demand of a rapidly growing population, while African crude oil export to North American refineries is increasingly being displaced by fast growing domestic output. Brahms Oil Refineries Limited has recognized an opportunity to develop petroleum storage and transportation infrastructure, alongside modular and scalable refining facilities in West and Central Africa to transform some of the available African supply of crude oil and reduce the dependency on imported fuel. Africa Finance Corporation will be working alongside other appointed project advisers: Gide Loyrette Nouel (Paris) and Contax Partners (UAE) to conclude with the sponsor on outstanding development work and raising the required capital for the Project. Financial close of the Project and start of construction is slated for the Q4 2019. Charlotte Matthews is a former Energy Editor at the Financial Mail of South Africa. She wrote this piece specifically for Africa Oil+Gas Report. Abdulrazaq Isa, Chief Executive of Waltersmith Petroman, has responded to the prevailing opinion that small refineries are inherently loss making. “That modular refinery does not make money? I do not hear that. I do not see it. I have gone to a global financial institution, the African Finance Corporation (AFC) and convinced them to give us money to fund our project”. Waltersmith Petroman is holder of the Ibigwe marginal field in OPL 2004, on which a small (5,000BSPD) refinery started construction two months ago. 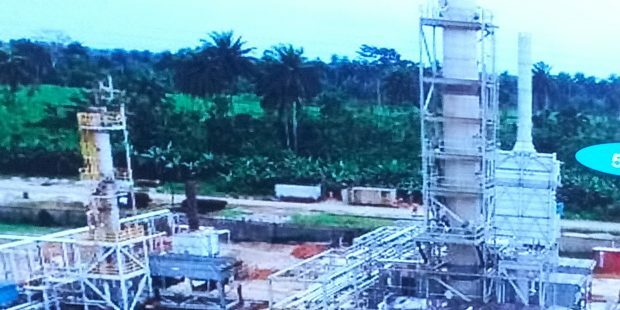 Isa points to the basic financials of the refinery project situated on an oil field in the Niger Delta, and in the vicinity of other oil fields. “Let us look at the cost structure for producing and exporting oil from where we are. Just the cost of producing the oil, putting it in the line and exporting it is almost $8 per barrel. This is the transportation cost alone. This cost has been growing. We probably started at about $5 per barrel. So, if I produce crude and it is sold at $50 per barrel, you have to first remove $8. So by putting that refinery right in the field, where we produce the oil from that field, or take oil from nearby fields, we have eliminated that $8 cost. This is a huge margin for us, before we even do the refining”. Isa also provides details on converting the challenges of pipeline losses to profits by insitu beneficiation. Full story is published in the November 2018 edition of the Africa Oil+Gas Report, circulated to paying subscribers and to delegates at the Nigerian Association of Petroleum Explorationists (NAPE) conference in Lagos. Follow this link for a copy. 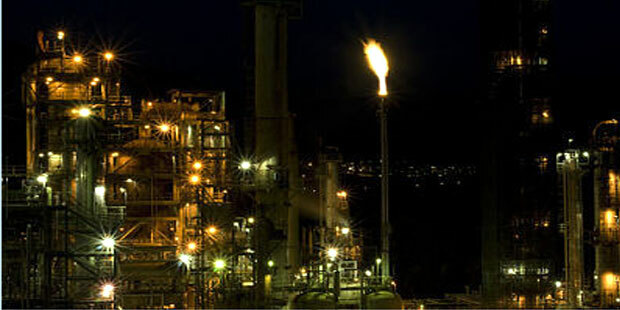 NNPC’s recently announced proposal to construct two 100,000 Barrels of Oil Per Day (BOPD) greenfield refineries has encouraged a leading Civil Society group to request the Nigerian Government to conduct a root cause analysis on the abandonment of similar refineries earlier announced for three other states in the last five years. The state hydrocarbon company’s new proposal calls for a refinery each in two states in the Niger Delta Basin: Delta and Imo States. Yet the same company had carried out feasibility studies for similar plants in Kogi, Bayelsa, and Lagos states, which were fully paid for and completed. BudgIT, a civic technology organization at the forefront of raising the standards of transparency, citizen engagement and accountability, declares that “it is wrong for any government institution to tease citizens with announcements for greenfield crude oil refineries, award huge sums for feasibility studies, abandon the project when it’s time for construction, then repeat the cycle in another state”. “What guarantees do citizens have that taxpayers’ money earmarked for the refineries in Imo and Delta state will not suffer the same fate as those spent on Kogi and Bayelsa States? What are the lessons learnt from Kogi, Bayelsa, and Lagos greenfield projects? NNPC exports a large portion of the 445,000BOPD of crude oil allocated to domestic refineries through Crude Oil Lifting contracts (COL) largely due to (1.) 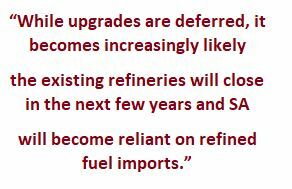 NNPC’s inability to make existing refineries work – despite monies spent on turn around maintenance, and (2.) the failure of NNPC’s new, greenfield refineries to see light of the day – despite monies spent on them. In the past, NNPC has been accused of carrying out its export of unused Domestic Crude Allocation (DCA) through politically-connected middlemen – many of whom do not have adequate capacity to handle the volume of crude oil in their Crude Oil Lifting contracts but simply extract rent and pass the contract on to those who do. Ibe Kachikwu, Nigeria’s Minister of State for Petroleum Resources, had previously promised to cut out the rent-seeking middle men in the award of Crude Oil Lifting contracts and also to cut down the number of contractors to sixteen (16) when he was the GMD for NNPC..
BudgIT then asks Nigerian citizens, civil society organisations, journalists, and media influencers to #AskQuestions about Nigeria’s greenfield refineries every step of the way. BudgIT also calls on NNPC to do a weekly or monthly briefing to citizens specifically on progress and challenges of its greenfield projects as failure of greenfield refineries to see the light of day opens up many complex loopholes for corruption in the long term. 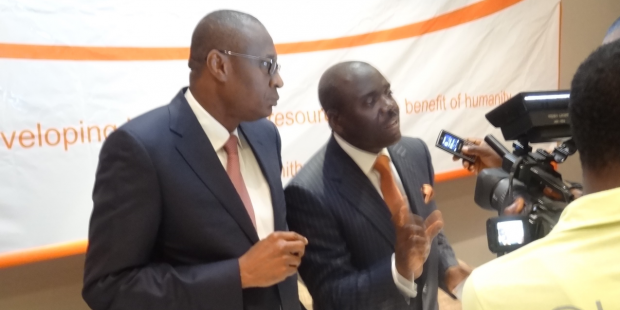 “BudgIT will not fail to commend NNPC for publishing its monthly Financial and Operations Report online since the inception of this administration. Such monthly reporting is worthy of emulation by other government agencies in the sector. However, we’d like to call on NNPC’s management to reduce the time lag involved in making these reports available. As at October 30th, its report for the last four months (June – September) are not yet available online. “BudgIT calls on all political parties not to weaponize data concerning the oil and gas industry in the run up to May 2019 elections, but use data as a tool for dialogue to seek long lasting reforms. Many problems in the oil and gas sector are complex in nature and have defied solutions across multiple governments. To be blind to this reality is to walk unprotected into a clouded minefield set up by vested interests that have defied multiple administrations. Let’s focus on the real issues. #StayWoke and #AskQuestions”. I wasn’t sure I could make this event, I had three different events for the day, one in Russia, another in Equatorial Guinea and one here. Eventually I had to call my colleague in Russia to say it’s so important that I should be here because of the significance of this event and so I won’t be able to make it to Russia. Then I negotiated hard with Razak (Abdulrazaq Isa, Chief Executive Waltersmith), to say how do I get here and still make it to Equatorial Guinea where I need to function as the president of African Petroleum Producers Association. The effect of that is I’m going to make this speech very quick and catch the next flight to Malabo so that I can return back to Nigeria before the end of day. The king of the place Eze Ekweme Ekweme is really the major owner of the protocols here and once I recognise him, I can then stand beside other existing protocols. I’m particularly glad to see here today, the likes of the Shell MD and Nigerian Content Development Monitoring Board (NCDMB) Executive Secretary. I’ll tell you why I’m particularly glad for their presence. My good friend Osten Olorunshola and of course the Eze himself. For Shell, it is simply an attention to the fact that the time has come to process without just carrying crude out, and ultimately the policies of this country will begin to compel that if we can’t persuade that. Because some of the things I’ve struggled with as I’ve pushed very aggressively, the whole concept of refinery, re-injection and re-activation and the modular refinery is how do you find the crude? The crude is owned by those who produce it and so once they take theirs away, we’re left with nothing to process. But in the next couple of months, those will begin to change. We’ll have to begin to enforce the 20% crude processing requirement in this country, graduating all the way to 50% over the next 5 years. Really we have no option otherwise we’re going to just stay in an abyss of not processing while people are taking away raw materials. The time for that is gone. I’m hoping Okunbor’s presence here not just as Shell MD but also head of (the Oil Producers Group) OPTS is to begin to have that dialogue that is essential. Because I find out I can achieve more when I can dialogue rather than when I can compel. I only compel when I can’t dialogue and I’d like to see that move very rapidly. For NCDMB, I’m happy that they’re here largely because as Chairman of NCDMB, when we put together this whole process of putting money in Bank of Industry, most of that was articulated by Simbi and I’m not sure we actually knew where the 200Million dollars was going to go, we just knew that we had a momentum to help the local industry. But since then, he and his team have done a fantastic work in articulating where these monies should go and how it should be deployed. I’m currently in the middle of trying to settle a battle between him and the Bank of Industry (BOI) because in his typical manner, he said he has given 6 months and he hasn’t seen where the money where it should be so I need to take my money. We’ll be having a meeting over the next few days in trying to resolve that. But that’s the spirit, there’s a reason why things are done. I’m happy that he’s here and more than Razak, he’s put a lot of pressure on me to make sure that whatever I’m doing, I should be present here today. Osten Olorunshola, largely to the fact that he’s done a huge amount on the Petroleum Industry Bill PIB and I tell him not to be disillusioned. 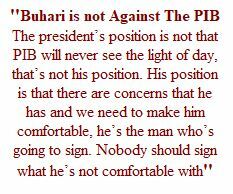 The president’s position is not that PIB will never see the light of day, that’s not his position. His position is that there are concerns that he has and we need to make him comfortable, he’s the man who’s going to sign. Nobody should sign what he’s not comfortable with. I urge him to put on that garb of perseverance that he has and continue to work with us and let’s see how we can get the big man to the point of comfort because this is something that needs to happen for the country. NNPC, your huge presence today is incredible! It’s very nice for me, because you’re part-owners of most of the crude. If I’m going to drive this policy, I need to get you on my side. So hearing the lovely words that the COO GAS has said just gives us a lot of happiness. Accompanying him is the COO SERVICES who’s also here. I’m very glad that you’re all here today. Let me spend a few minutes on what the refining roadmap is for this country. 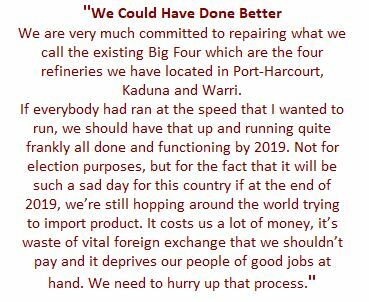 First is that we’re very much committed to repairing what we call the existing Big Four which are the four refineries we have located in Port-Harcourt, Kaduna and Warri. If everybody had ran at the speed that I wanted to run, we should have that up and running quite frankly all done and functioning by 2019. Not for election purposes, but for the fact that it will be such a sad day for this country if at the end of 2019, we’re still hopping around the world trying to import product. It costs us a lot of money, it’s a waste of vital foreign exchange that we shouldn’t pay and it deprives our people of god jobs at hand. We need to hurry up that process. The board is working with NNPC to see how fast we can, I’m not sure any of us realized what is required for raising international finance for these things when we started, so it’s taking a bit more time since when we started but believe me, they get polished each time we have a board meeting because we need to move on this goal and I’m continuous with the move around the world to find Alternative Financing because I did give the president my word that federal government money will not go into this project if we can help and we’re looking for private sector funding. So that’s the first step in the roadmap, and if we do that, we’ll be able to process at least 500,000 barrels from these four refineries. The second is of course the Modular Challenge. As part of the strategy to pull away militants from crude processing of products, we came up with the concept of absorbing a lot of them, create modular refineries in these contiguous communities, create jobs and get some of the fairly uncouth skill sets that they have and polish them and put them in the system and that is how the whole concept of modular refineries started. Thank God the Vice-President bought into that and worked very hard with us as part of the 14-Point Agenda for reducing militancy in the Niger-Delta. So today we hope that if the 10 Modular Refineries that have at least began to kick-off, have signed basic agreements, some of them have actually commissioned and are working and the very first one to put products in the markets will do so by December/January and if we do that, out of those ten modular refineries, we hope to process between 200,000-300,000 barrels of crude oil into the system. That of course includes WalterSmith. The third arm of that is obviously the private sector-led Greenfield refineries. Under that, you have the Dangote bumper 650,000 barrel refinery which he’s doing in Lagos, we have the Niger-Nigeria one which is about 70,000-100,000 barrels, we have the Agip one which is about 150,000 barrels refinery in Bayelsa and we have the one led by a Chinese consortium which we’re finalising now which will also be able to do a c-location refinery. Infact, we have two co-location refineries possibilities. One far gone, one just beginning, each of them about 100,000 barrels. So again, from this field alone, you have processing in excess of a million barrels of crude in this country. So you can see that these are well thought out policies driven from the mind of specific focus on refining and if we do that, we’ll be able to process between a million and a million and half barrels of crude oil in this country and take over what is basically the processing hub of West Africa and East Africa. The market is there just for the picking so it would be a shame if we let some of these opportunities go. Realizing that very early in the game therefore, I set up a refining technical team and brought in the COO/SCA Suleiman who’s done more work on this. I get the praises, but he’s the man in the engine room. He’s driven very purposefully the whole dream of how we can get to the refining final hub, both the modular, both the refinery activation. NNPC is doing, both the third-party private-sector driven ones. And his singular purpose is to be able to deliver this as quickly as possible, so this is how we’ve gone about this. But how do we get crude to those that want to refine, because some of those who want to refine do not have production wells. Some of them are going to depend on third-party injections and that’s one of the things we’re struggling with Dangote right now, how do we get him all the gas and crude he needs. But I believe that the private sector led by the majors are equally committed to the progress and success of this country and as long as the crude itself is adequately priced in a way that it doesn’t injure their interests, they should be able to get adequate amount of crude back in. I’d also be pushing NNPC through NPDC to uplift their game. 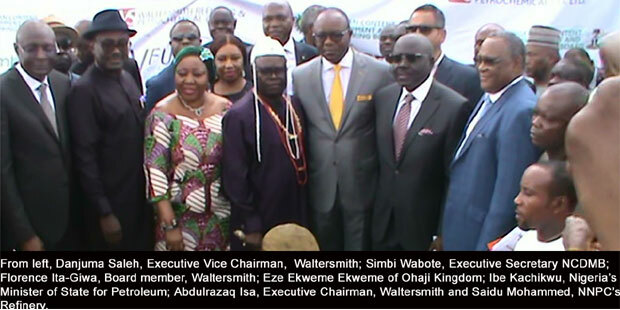 Another thing is what incentives must you provide for this group of people who want to refine Nigerian crude? We’ve succeeded in providing Custom duties clearances and waivers as a first call to enable them bring in their equipment at zero duty levels. We’ve created a financing model which NCDMB is driving. Funding is key, what I’m expecting NCDMB to do ultimately is to work with Suleiman as the engine to drive refining not just local refining. What it means is that we’re going to have to find funds, federal government funds, CBN-designated funds to put in the hands of NCDMB in a managed professional way to help those who need to reactivate and build refineries in this country. So that there’s funding available for you to manage, there’s funding for you to expand the scope of what you’re doing currently, which is a bit limited to be able to take much bigger proposals and more committed individuals. And I think that when you do that, the IOCs will be able to come onboard once they can see a funding line, a credible partner, they can see a direction and then we’ll be able to go. The other incentive or other directive you’ll be able to see coming out, hopefully soon is what I call the “Clutch-free Mechanism”. That Clutch-free means that those who have licences who can’t use the licences will have to let them go. We’re not going to have people just clutching on licences and putting them as signboards in their houses. If you take a license, we’ll give you a timeframe in which you must put up or shut up! There’re people who have held Modular licences for 2,3,5 almost 10 years and have done nothing with it other than just hawking it all over the place. If you can’t use it, there’s no need for me to licence almost 40 Modular licence and you’re talking of only 10 being active, So that Clutch-free Mechanism is something we’re going to begin to explore very seriously with DPR to try and free up the whole of some of these licences. Being excerpts from the Keynote Address By the Honourable Minister of State For Petroleum, at the Groundbreaking Ceremony of Waltersmith Refinery & Petrochemical Company Limited, Ibigwe, Ohaji Local Government Area, Imo State. The speech was delivered extempore. Transcription was by Foluso Ogunsan. crude oil to a consortium named V-LEM. The contract is worth $48.5Million. diesel, naptha, kerosene and Fuel Oil. delivery of local content milestones in the industry, which is investing in the project. The debt financing comes from Africa Finance Corporation (AFC), a development finance institution. V-LEM consists of two companies: VFuels and Lambert. refinery. The construction is expected to take 18 months. Nuovo Pignone International SRL, a General Electric Company located in Italy and the EPC Contractor SAIPEM SPA, also Italian, are the most recognisable of all the partners in the Special Purpose Vehicle who won the bid to build, operate and partly own the much anticipated 60,000BOPD refinery in Uganda.. The Albertine Graben Refinery Consortium (AGRC), as it is known, includes YAATRA Africa (Mauritius) and Lionworks Group Limited (Mauritius) as well as the Uganda National Oil Company (UNOC), which is a limited liability petroleum company owned by the government. The SPV will now build the oil refinery in Hoima District after the signing of the Project Framework Agreement between the government and the AGRC. The composition of the nationalities in the consortium was not lost on Yoweri Museveni, the Ugandan President who, like his peers, have recently been keen on doing business with China. He said the composition of the AGRC showed that Western companies were also waking up to realize Africa’s potential. He challenged Western companies to take interest in “helping” Africa explore its resources potential, saying the continent presented immense business opportunities. “Africa and the West share a lot of history together and there is a need for them to use these past linkages to further economic business,” said the President. Under this agreement, AGRC will be responsible for funding the pre-FID activities listed above and will also proceed to construct and operate the refinery. The consortium has also been tasked to ensure Ugandans get jobs and skills out of the project. 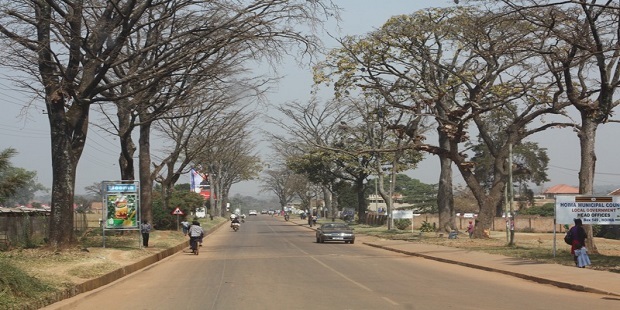 AGRC commenced negotiations in 2017, in 2017 following the fall out of Russia’s RT Global Resources, with the Government of Uganda, after talks collapsed with the ministry, around RT’s request to scale down the size of the refinery while SK Engineering the alternate bidder showed disinterest with the project thereafter.